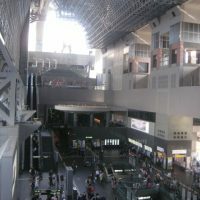 JR Kyoto station is a major transportation hub for visitors in Kyoto. Some people are waiting for a Shinkansen,and others are looking for their destinations. It is not only a major transportation hub, but also it is a facility for a shopping,theater,and restaurants. 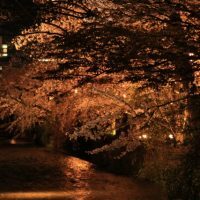 There are many restaurants around JR Kyoto station so it’s hard to choose which restaurant you should eat at. 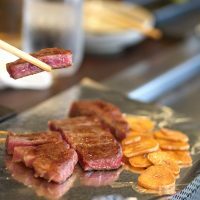 This time, I’d like to introduce you Top 5 Must-Try restaurants around JR Kyoto station! Hashitate is a casual Japanese restaurant located on the third floor of Suvaco JR KYOTO Isetan. Be careful not to go to Ietan department,it is locatedSUVACO JR KYOTO Isetan. It’s a sister restaurant of Wakuden(I will introduce it later),which is very famous traditional Kaiseki restaurant in Kyoto. The recommended dishes are Hashitate Don and the Tai no Gomamiso-don. Hashitate don is a set menu include a rice bowl topped with seafood, a rice bowl topped with tempura,miso soup and Japanese pickles. You can enjoy this delicious meal for only 1728 yen(including tax). Tai no Gomamiso-don(1,674 yen) is a rice bowl topped with sea bream with sesame and miso dressing. You can pour the hot dashi broth over the sea bream, which tastes really good! There is always a long queue outside the restaurant, so it’s better to arrive 5 minutes before the restaurant’s opening time. As I told you above,Kyoto Wakuden is a famous traditional Kaiseki restaurant in Kyoto. 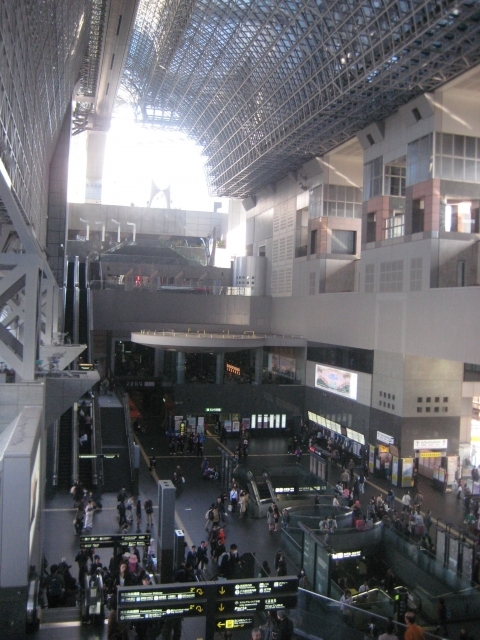 It is conveniently located on the 11th Floor of Isetan department at the JR Kyoto Station. 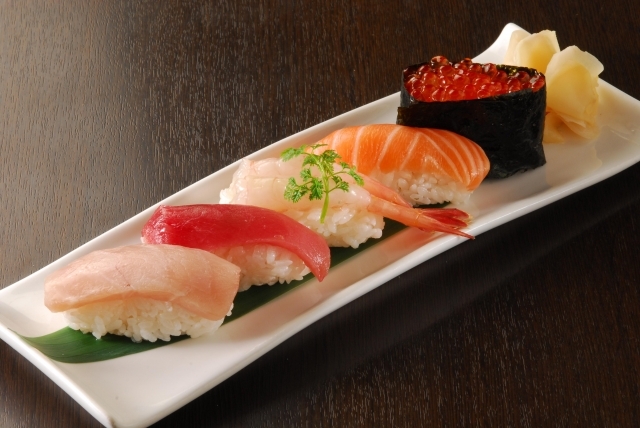 They offer authentic Kaiseki dishes at a reasonable price. They serve the limited lunch set called “Kuchinashi” for 2,700 yen in the lunch time. 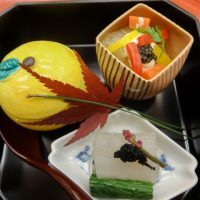 It includes seasonable dishes such as deep fried fugu dish, sea bream sushi and rice cake.You can enjoy Japanese sake as an aperitif, and it comes in a bamboo cup. 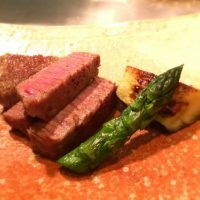 The ingredients are carefully selected by chef,and every dishes are beautifully presented and taste amazing! It’s first come, first served basis,so I recommend you to arrive 5 minutes before the restaurant’s opening time. If you are lucky, you can fake a window seat for enjoy the great view of Kyoto tower. Enjoy authentic Kaiseki dishes at Wakuden! Torisanwa is conveniently located at the basement of Isetan department in Kyoto station. 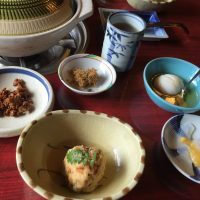 They offer oyakodon which is one of the Japanese specialties.It is a bowl of rice topped with chicken and eggs. They serve the exceptionally tasty chickens whose brand is called Nagoya Cochin. The fluffy half-cooked eggs are mixed with this Nagoya Cochin chicken and served over the hot rice.The broth has a very nice flavor. You can eat at the restaurant or take it out. This restaurant is relatively small (there are only 6 seats),so If you come here as a group, you can take it out and eat outside of the restaurant. The staff can speak fluent English. 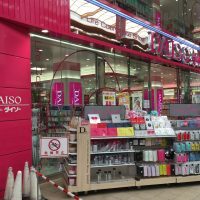 Kyoto Takabashi Daiichiasahi Main Shop is conveniently located 5 minutes walk from JR Kyoto station. 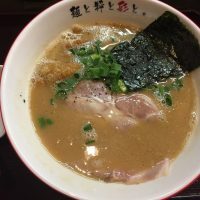 This restaurant is known as one of the best ramen restaurants around JR Kyoto station. They offer soy based tonkotsu ramen with some dense chashu and fresh green onions. The ramen is made with soup from pork bone mixed with original soy sauce.It’s very flavorful and tasty. Don’t forget to order Gyoza with your Ramen.They are very crispy and nice. 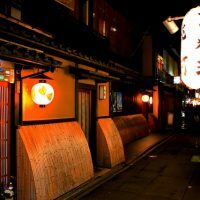 There is another famous ramen restaurant, Shinpuku Saikan is located next to Kyoto Takabashi Daiichiasahi. Shinpuku Saikan first opened in 1938, and it is known as one of the oldest ramen shops in Kyoto. They serve the ramen in a black soy sauce based soup. I prefer the ramen at Takabashi Daiichiasahi to the one at Shinpuku Saikan. You can go to Takabashi Daiichiasahi if you like light flavor ramen,and go to Shinpuku Saikan if you like strong soy-sauce flavor one. There is always people queuing outside of the restaurant, so I recommended you avoid visiting during lunch & dinner time. Even if you have to queuing, it’s worth the wait! 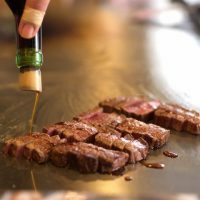 Ginjiro jr. is a steak restaurant which is located 5 minutes walk from JR Kyoto station. This restaurant is popular among not only locals but also foreign tourists. They serve the Omi beef,one of the top brand beef in Japan. You can choose from various types of meat dishes with a wide range of alcohol drinks. This restaurant serve 8 kinds of Omi beef steak,and has different parts of the beef,so you can compare the taste of them. 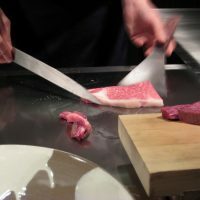 The Omi beef has an ideal balance of marbling with fine, tender meat. It’s good flavor and mellow taste lingers on the palate. You can enjoy this delicious beef steak lunch set from 1,580 yen. Nikuya Ginjiro will be a hit with all the beef lovers! 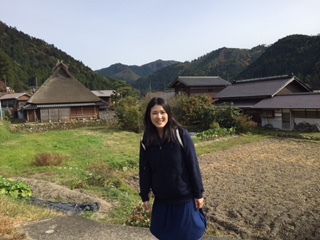 I hope you’ll enjoy authentic local foods during your stay at JR Kyoto station!